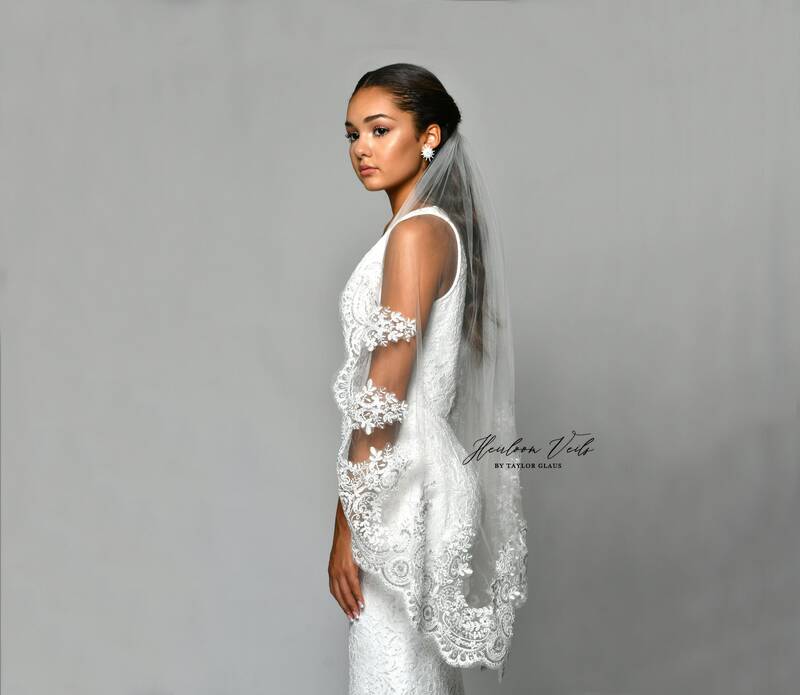 Hand stitched by expert seamstresses using the highest quality materials, this piece will become a family heirloom passed down for generations. 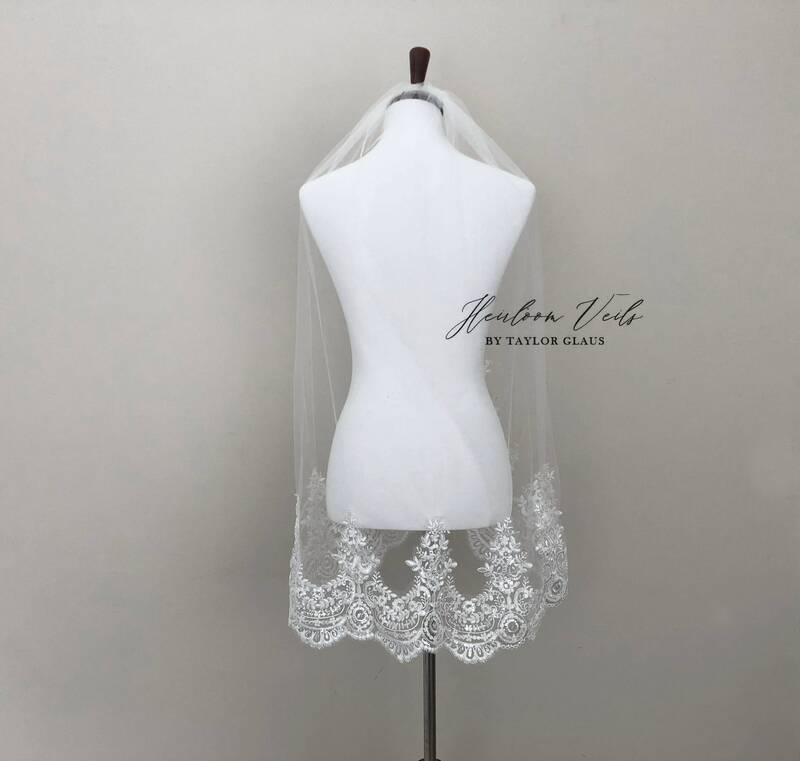 The lace on this veil has sequins and light beading on it. The veil comes sewn to a high quality metal comb to hold it in place (the comb is invisible when being worn). The length shown in the picture is the hip (36") length, and the color is light ivory. 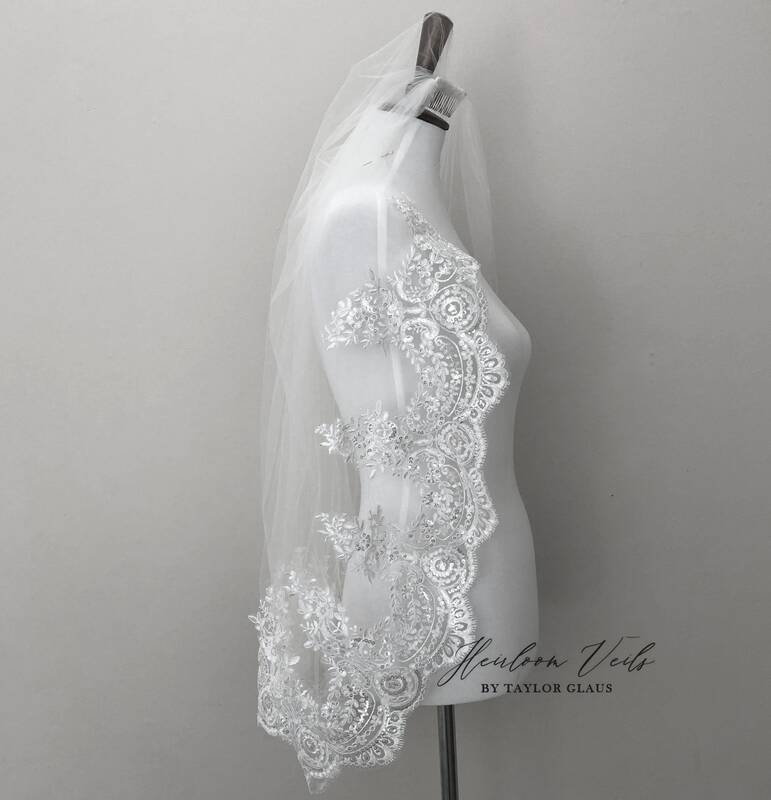 Because our veils are all custom made to order, we do not accept returns or exchanges.